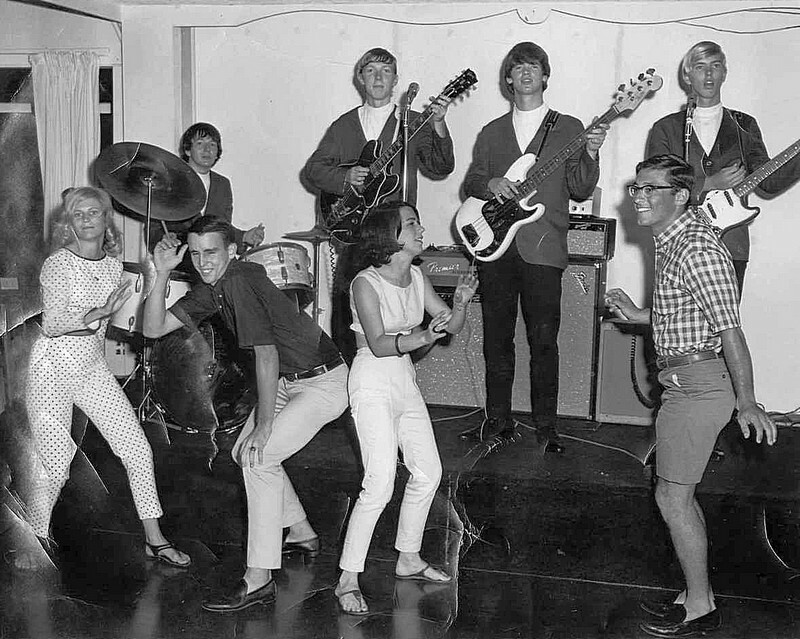 This reverb unit was seen on the photographs taken of Allman Joys performing at a High School graduation at Seabreeze, Daytona, sometime in 1965. At that time, Duane was playing a cherry red Gibson ES-335, and it seems that the reverb unit went straight into a Fender Deluxe Blackface combo amp. Important to note here is that the Fender Deluxe amp (or the version that Duane had) didn’t have a reverb effect built in (only Tremolo), so it would make sense that he had to use a stand-alone unit. Allman Joys, Seabreeze High, Daytona, sometime in 1965. Photo credit: unknown.